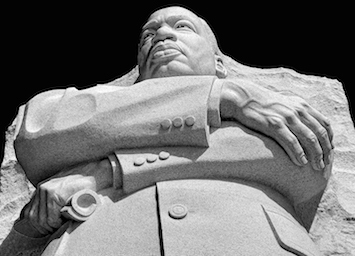 Every January, the life and legacy of Dr. Martin Luther King Jr. is celebrated nationwide. It is a day that Black people use to reflect on civil rights struggles of the past, and reconcile them with struggles Blacks still face today, as they work together in the spirit of our ancestors to try and bring healing to our communities. The nationally recognized holiday honoring Dr. King isn’t seen as a day off, but as a day by many, in remembrance of the Baptist minister from Atlanta who worked daily on behalf of oppressed Black people from coast to coast. 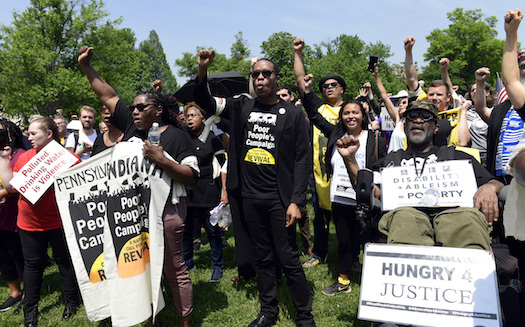 Many individuals and groups plan to celebrate Dr. King by working and connecting with the very people he ultimately sacrificed his life for, while working against repeated attempts at whitewashing his legacy. It’s about more than just being nonviolent in the face of a violently racist era. “Now that we have a lot of his words in digital form, we don’t have to rely anymore on just the snippets we see on TV every year. We have more information accessible to us and we all have our individual platforms, so it’s up to us to tweet the quotes from [Dr. King] at the end of his life,” Dr. Anndretta Lyle-Wilson, assistant professor of Ethnic Studies at California State University-East Bay, told The Final Call. For the MLK Holiday, Dr. Wilson is helping to sponsor a letter writing event for incarcerated men, but especially youth in California, where a bill was recently passed to help prevent juveniles younger than the age of 16 from being charged as adults in crimes. The event is a collaboration with The Metaphor Club, a creative space owned by four Black men in Los Angeles—one is Dr. Wilson’s husband—who opened it in response to an incident at a Philadelphia Starbucks where the police were called on two Black men waiting to take a business meeting. Dr. Wilson says she was also inspired to start this event after having an incarcerated cousin she was very close with, but never wrote while he was away. She was also touched by the memoir of Shaka Senghor, “Writing My Wrongs,” who after receiving two powerful letters while in prison, made the decision to change his life for the better and be an inspiration to others. The Metaphor Club space sits along the King Day parade route and Dr. Wilson hopes those participating will look out the window, see the parade, and be inspired to pen words of upliftment and encouragement—similar to Dr. King when he penned his iconic Letter from Birmingham Jail—to the men and young boys trapped in the California penal system that may feel abandoned, alone and forgotten. In San Antonio, Texas, Kristen Thompson, a professional stylist in the fashion industry, worked to make sure the legacy of Dr. King was not tainted during the city’s MLK inspired DreamWeek event by an appearance from Rachel Dolezal, the White woman who notoriously came to fame for living her life as a Black woman, classifying herself as transracial. Ms. Thompson felt that the event organizers were disrespectful to what Dr. King stood and fought for, not only by inviting Ms. Dolezal—who is currently under investigation for welfare fraud and who changed her name to Nkechi Amare Diallo—to participate in a panel discussion, but also in the screening of her film, “The Rachel Divide.” She has never taken accountability for the harm her actions caused to Black people in general, or apologized to Black women specifically, said Ms. Thompson. Ms. Thompson started a Change.org petition that, at the time of this writing, had amassed more than 1,100 of its 1,500 signature goal and proved to be effective. One of the DreamWeek organizers, a Black man, sat down with local people in the community who opposed the decision to have Ms. Dolezal participate in DreamWeek. She was later officially uninvited. Although her film will still be screened, it will be followed by a panel of four Black women who will lead a discussion on the larger issues Ms. Dolezal’s actions have created within the Black community. Closer to Dr. King’s hometown of Atlanta, the city of East Point is planning to hold its first ever day of service in honor of Dr. King. On Jan. 4, the mayor East Point, Deana Holiday-Ingraham, and the city council, passed a resolution proclaiming the third Monday in January, MLK Day of Service. The city is planning to distribute meals and fruit donated by Atlanta-based R&B star Angie Stone and her Angel Stripes foundation. In addition, there will be health and wellness screenings with an onsite nutritionist to help educate people on healthy eating lifestyles, the East Point Fire Department will hold a drive for free installation of smoke alarms and carbon monoxide detectors in homes. The city is offering a ticket amnesty program where residents can have certain fines and fees waived, as well as apply to have information related to arrests for non-violent crimes committed in East Point restricted. “In honor of the Dr. King holiday being a day on and not off, we wanted to put together a program that provided services giving back to the community, but we didn’t want people in the community to feel a burden of having to help out because we wanted to provide these services to them. So instead of being off that day, I felt it was important that as city officials, we have to give back to the people who elected us to represent them and make decisions for them,” East Point councilwoman Sharon Shropshire, one of the principal organizers of the day of service, told The Final Call. Still, she said, her office has been flooded with calls and emails from people in the community who want to help out and participate in honoring what Dr. King stood for. A lifelong resident of Atlanta, Ms. Shropshire grew up with an understanding of who Martin Luther King Jr. was and not just what he meant to Black people locally, but all over the country and the world. Unfortunately, Ms. Shropshire also understands that while Dr. King remains an historically significant and iconic figure of the civil rights movement, his importance and stature with today’s generation isn’t as strong as it was just a few decades ago. This is why she feels it’s extremely important that the young people in East Point come out and actively participate in the day of service.